You guys DO realize that the other one is moving down, and the sign REALLY IS telling you to use an elevator if you want to go up. The Up and Down operate independently. 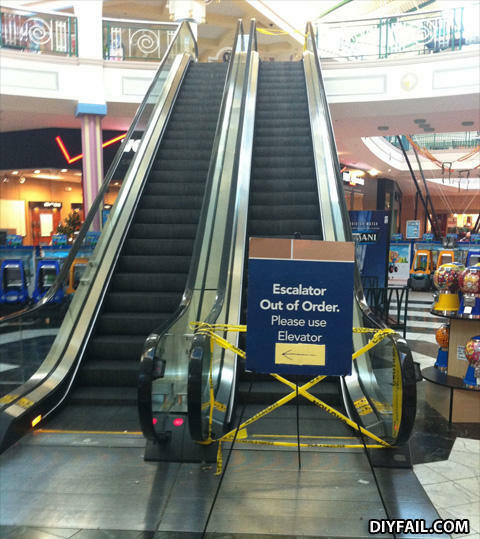 "Escalator temporarilly stairs. Sorry for the convenience"